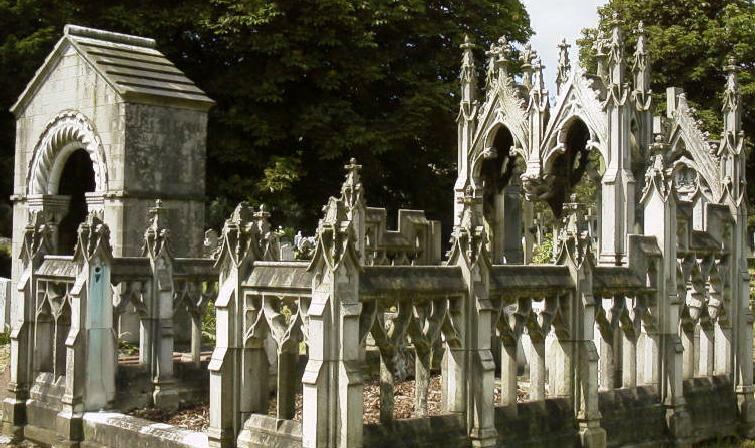 Every year the intriguing Robert Stephenson, City of London tour-guide, folklorist and gravestone expert, runs talks and walks around London. This summer season he’s talking about the temple of Diana inaugurated by Brutus upon which St Paul’s Cathedral is built, London’s more bonkers ceremonies and customs, its public execution sites (a popular favourite), its cemeteries (Kensall Green cemetery has the largest number of listed monuments in the country) and the annual Dr Death lecture, which this year looks at the posthumous indignities heaped upon famous corpses. There will also be talks on London’s most curious stones and bones, and on the Knights Templar, their London properties and their brutal suppression. More than this, though, I cannot tell you, as he is a notoriously hard man to track down. He has a flyer which explains where he’ll be appearing and what he’ll be talking about, but rather unhelpfully it has no dates listed on it. You can try Eventbrite, Friends Of Brompton Cemetery or the South East London Folklore Society. Beyond this, you’re on your own! The long-term scandal of the City’s overcrowded churchyards led to the opening of London’s first purpose-built cemetery at Kensal Green in 1833. Robert Stephenson talks about its architecture, monuments and famous occupants. He pops up at Guildhall Library every so often, but the events sell out quite fast. Saw him in March at Kensal Green talking about conserving corpses. Fascinating. Will see if I can dig out the flyer when I get home and publish any dates left.